Paying someone back with a side of pizza and beer emojis is fun, but you're also parting with personal and financial information. Here's how to be smart about it. I'm probably the only person in my age group (early 30s) I know who doesn't have Venmo, the free payment sharing app. I keep saying, "next time," when the check comes at the end of brunch and I'm scrounging for cash while my friends are punching away on their phones to pay one another. Though I do my banking on my phone, as well as use PayPal, I'm a bit turned off by the social nature of Venmo. "Did you see that Lauren got drinks with Shannon and they didn't invite us?" A friend recently asked me. I had no idea. "I saw on Venmo!" he scowled. Unless you set your transactions to private in the app's settings (which you can do one by one, or with a default option), your Venmo activity is there for all fellow users to see on the social feed, along with any messages accompanying it. The dollar amount is concealed, but one may not have to do much digging to figure out what the money was spent on; in the case of Lauren and Shannon those wine glass emojis spoke volumes and sparked some mild insecurities as to why I wasn't included in the fun. I reached out to Venmo users to learn if they ever felt what I was experiencing, (albeit secondhand): Venmo FOMO. Quite a few people admitted to the feeling, but some also indicated they were using the app a tad more aggressively to keep tabs on pals. Daniella Joy, a 24-year-old in NYC who declined to share her last name (Joy is her middle name), notes that while she’s unfollowed an ex on all social media platforms, ended all communications and even deleted his phone number, she still finds herself checking up on him now and then via Venmo. It’s fun to see that everybody loves pizza and beer and the money with wings emoji, but it’s curious that so many people are broadcasting the financial details of their lives. The spokesperson added that in addition to the option of privacy for each transaction, users can set all future payments to private by default. Additionally, you can make all of your past transactions private, so that the payments will remain in your personal feed but will only be visible to you and the person involved with those payments. You can also block users and keep requests private until you accept them. But privacy doesn’t seem to be a chief concern among throngs of Venmo users. A new report by Comet found that in the month of November 2018 alone, more than 18 million transactions were public on Venmo. The report analyzed data of these payments to see which emojis were most popular both in general and when broken down between presumed male and female users. It’s fun to see that everybody loves pizza and beer and the money with wings emoji, but it’s curious that so many people are broadcasting the financial details of their lives. One may assume that sending over a few bucks for an Uber or reimbursing roommates for groceries may not mean much to anybody else, but these details are of clear value to potential marketers. Why privacy isn’t more important to users is an issue that Cranor says she and fellow researchers have been asking since well before the age of social media. We live in a society where private is public. Frankly, I guess we're just okay with it since it doesn’t affect our day to day lives. Alexander Lowry, a professor of finance at Gordon College and the director for the school's master of science in financial analysis program finds this “loosey goosey” behavior to be somewhat concerning. Setting our options to private is one step in the right direction if we want to deal with Venmo more strictly as a financial transaction service, but we should also think optimistically about what the sharing of our spending data could lead to down the road. 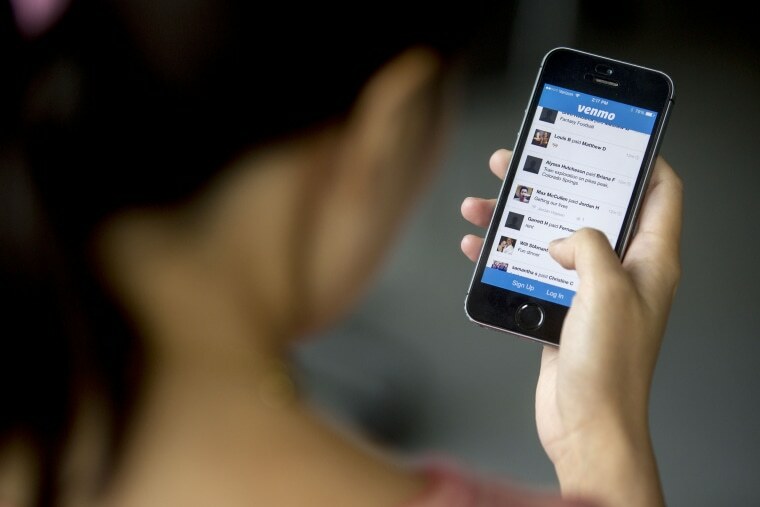 People don't think of Venmo like a bank which is essentially what it is.